Try our softest men's wrinkle free cotton shirts. We work doubly hard to guarantee our Wrinkle-Free Shirts are the softest and most comfortable you've ever worn. 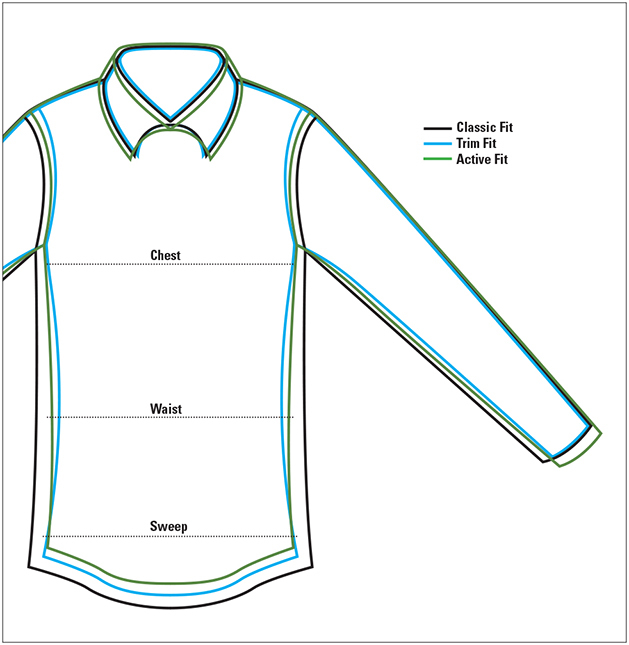 First, we treat the bolt of pure cotton fabric, then we treat the finished garment. Not only do our shirts come out of the dryer wrinkle free, but they shed wrinkles all day, too. Plus, our extra step makes them the softest wrinkle-free cotton shirts you'll find. It's a patented process. And it works. That's why they're a best seller. Button-down collar, single button-through patch pocket, two-button adjustable cuffs. Pure cotton. Washable. Imported. Sizes: S(34-36), M(38-40), L(42-44), XL(46-48), XXL(50-52). All Cotton. No Wrinkles. No Dry Cleaning. No Joke. Wrinkle-free right out of the dryer? Or your old shirt? Our Men's Wrinkle-Free Cotton Shirts offer all the superior comfort, softness, and good looks of cotton in a new wrinkle free that requires no ironing. Available in a wide range of colors, they are ideal for travel and every day. No more expensive laundry bills, morning wardrobe scrambles, or rumpled appearances at important business meetings. Our wrinkle-free cotton apparel always look pressed and ready to go right out of the dryer or laundry basket. 100% cotton that’s wrinkle-free? We found the most innovative and effective treatment for creating wrinkle-free cotton fabric. And we use longer strands of cotton, for a smoother yarn, which in turn creates a less-easily creased fabric. We weave this superior fiber into a pinpoint oxford cloth, lightweight and comfortable year-round. Because cotton holds 15% of its weight in water, and moves that moisture naturally to the outside of the garment, cotton feels cooler on hot days and is more comfortable next to the skin. This cotton also takes color extremely well, resulting in clean graphic patterns with punch that will stay bright throughout years of washings. When removed promptly from the dryer, they look freshly ironed. Soft cotton apparel that won’t wrinkle or shrink. Patterns that keep their colors. Shirts and pants that stay sharp looking through weeks of travel and re-packing. Fabrics that will save you hundreds of dollars in dry-cleaning costs without sacrificing style or comfort. Our Wrinkle-Free apparel is perfectly suited to the office, everyday errands, or travel. You’ll always look cool and crisp, no matter what the day brings.